HARMON holds its relationships with professional Realtors in highest regards. We value working with professionals in the housing industry and strive at being your complete design and construction resource. We add value to the services you already offer your clientele by providing quick estimates, knowledgeable staff and professional project management. If you have a client purchasing land we can be a resource by helping with due diligence, pricing and design. Or, if looking at an existing home, we can be a resource by providing due diligence, pricing or design on any additions or alterations they may be considering to make the property their dream home. We are known to be a valuable resource to professionals in the brokerage and property management industries. We are a resource that will help sell or lease your properties in a quick and efficient manner by adding more value to the services you already offer your clientele. Free consultation to Broker/Owner of potential new construction or build-out. 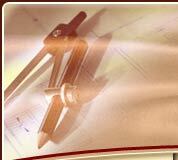 Services include architectural consultation, mechanical analysis and construction pricing. Commissions paid on all referrals that lead to a signed construction contract at a rate starting at 2.5%. Commissions paid upon securing a construction deposit.